Business description - Varroc Engineering is a tier-1 automotive component group. It designs, manufactures and supplies exterior lighting systems, plastic and polymer components, electricals-electronics components, and precision metallic components to passenger car, commercial vehicle, two-wheeler, three-wheeler and off highway vehicle OEMs directly worldwide. It is the second largest Indian auto component group (by consolidated revenue for FY2017) and a leading tier-1 manufacturer and supplier to Indian two-wheeler and three-wheeler OEMs. The company initially grew organically in India by adding new business lines such as electrical division and metallic division. In 2012, it acquired Visteon's global lighting business, now known as Varroc Lighting Systems. Prior to the acquisition of Visteon's global lighting business, in 2007 Varroc acquired I.M.E.S (a manufacturer of hot steel forged parts for the construction and oil and gas industries) in Italy and in 2011, it acquired Triom (a manufacturer of high end lighting systems for global motorcycle OEMs) with operations in Italy, Romania and Vietnam. 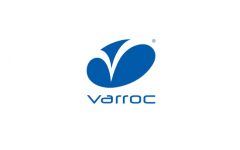 Varroc has a global footprint of 36 manufacturing facilities spread across seven countries, with six facilities for its Global Lighting Business, 25 for India Business and five for Other Businesses. Varroc Engineering IPO allotment status is now available on Link Intime's website. Click on this link to get allotment status. Its is Endurance group company will gve good listing gains! It is not Endurance group. The owners are Varroc and Endurance are twin brothers but management of both companies is totally separate.